Find Out The Secrets That Every Human Being Should Be Taught! There’s a reason so many children, teens and adults feel like their going crazy and that nothing seems to be working. It’s because we’ve been taught to play the game of life using only a few cards out of our total human deck! It’s ineffective, no fun and its a struggle to get the job done! Imagine…your child knowing exactly how to transform his or her own emotions, behaviors and experiences. I can help you find out what you’re doing that either helps or hinders their ability to do so. Not sure if you can ever stop or get ahead of the struggles? I’m here to tell you can! As a human potential expert and 25-year veteran and specialist in children and adult health, I’m here to expose the secrets that have been hidden from mainstream education – and that keep us in holding patterns of chaos, unhappiness and predominantly surviving life…instead of thriving! We’ll discuss all dimensions of a human being – physical, mental and spiritual to help you navigate and regulate life at its highest. Our human technologies are far greater than what most people understand or have been taught and it’s time to start using them the way they were meant to work. Every parent wants for his or her child’s human potential to be joyfully expressed and realized. When we better understand how our physical and virtual technologies of our mind, body and spirit work, we have the power to influence our experiences – including how we feel, function and regulate our everyday life. When we teach kids about these at an early age…we fortify them for a lifetime! Needing support to get you started? Private coaching is one of the best ways to gain laser-sharp focus, clarity and direction for your specific circumstances and needs. All sessions are done over the phone or internet (skype or faceTime), unless other (in-person) arrangements have been made. There are several options for you to choose from. There are several categories of sessions: new first-time clients, repeat clients who have had sessions with me before, and those who choose to purchase a package. Click here to learn more about my approach. New Private Clients -Introductory Session. This is for clients who have never had a session with me before. This session is loaded and it is a life upgrading experience both for your parenting, family life, and for you personally. For some, this may be the only session that you need. Don’t let the time fool you. A lot can be covered in 60 minutes that will get you on the path and moving in a direction that catapults your upward development! Repeat Private Clients. This is for clients who have had a session with me in the past. Repeat session allow me to go deeper into what’s going on in your life experience. Parent Value Pack Discounted Bonus. Ideal for parents who are wanting a little added support and cost savings over time. With this package you get one 60 minute introductory session plus two additional 55 minute sessions. The more clarity you obtain, the quicker quicker the shifts, growth and results. With this value pack you be able to develop and gain even more direct skills and guidance – which you can implement and use immediately. We’ll go even deeper and help you learn how to dissolve those stubborn stressful painful areas more quickly. Monthly Intensive Coaching. Designed for those wanting more intense support and contact. Clients will have the added benefit of receiving priority scheduling. Each week, clients will call me at a designated time to discuss where you are, the challenges you are facing and how to tackle present moment issues. While much can be accomplished in a single session, the additional check-up time allows for making real-time adjustments in target areas – and for helping to establish new and improved behaviors immediately. This package if offered to a limited number of clients and subject to availability. and four 15-minute check-in calls. Most of us think that we are just a physical body that moves about on a physical planet during our lifetime. The fact is, our composition as humans consists of so much more – things we can see… and some things we cannot. These aspects of ourselves are categorized as either “physical” or “non-physical attributes (or technologies)” – all of which can be very powerful when you learn how to access and use all of them in a constructive and coordinated way. Physical attributes are things we can see and touch – like our heart, brain and body. Non-physical attributes are things we can’t touch like our thoughts, emotions and intuition. For example, we all know we have feelings or emotions, but you can’t really physically touch them. Intuition is another non-physical attribute that flawlessly guides and protects you. Intuition IS direct communication from the most powerful and highest force that resides within each of us – we call this our Higher Self, Soul, God Spark and many other names. This is the part of us, which knows all, sees all, and is capable of leading us to our best and highest good so that life is meaningful and inspiring. Unfortunately, most people identify predominantly with only one aspect of their being – the physical. And we often do a poor job of using and caring for it appropriately. As a result, it is no wonder that children and adults across the planet are struggling so intensely. They’re only using a small portion of themselves to navigate life’s experiences. What most people don’t realize is that our non-physical attributes (or “virtual technologies”) comprise the greatest aspects of our human dimension. It’s these unseen technologies and forces that have the power to create, think and direct and shape our physical realities, health, emotions and manifested experiences. We operate from these technologies all the time. The challenge is that certain aspects of these technologies are often running amuck without directed guidance…simply because we can’t physically see them or we don’t know how they operate. This is what causes chaos for our children and us. We will forever continue to generate struggles and turmoil for ourselves until we learn how to better use the technologies within our own human device. This is why I developed the Mind Body Spirit Parenting Guidebook. It is the most affordable way for parents to obtain powerful information that they can teach their children – and use for a lifetime! This is no understatement. Every day I use information from this book to help me parent, navigate my life experiences, emotions and outcomes. We’ve all heard of terms mind-body-spirit, but do we fully understand what they are, their potential, how they function and how they work together within us? Did you know that most people know more about the technologies of their smart phone than they do about their own human device? This is tragic and it’s time to change all of that! It’s time to step out of the dark ages of parenting and bring the joy back into family life and living. Can I Really Change Things? You may be saying…“But I’m so busy – how can I possible do one more thing?” I’m a very subscribed parent too, so I get it! It isn’t about requiring more time and effort. It’s about reallocating the efforts you are already spending into more constructive territory that will get you far greater results – far longer! More often than not, people are using their human technologies in opposition to one another and to the outcomes they want. This is what is leaving us feeling drained, irritable, fearful, stressed and using up our valuable time and energy. Our human equipment works flawlessly and effectively…when we know how to use it. Sadly this information has eluded our human education. We may get bits and pieces, but it is incomplete – and so are the results that we get with our children and within our own adult lives. 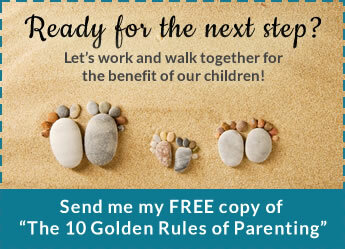 This website was designed to provide parents with useful information on many conscious parenting subjects and how to develop children and teens health, behaviors and human potential. The “Mind Body Spirit Parenting Guidebook – Developing The Conscious Child” is the most affordable resource in existence that teaches you how to use the amazing equipment that already resides within each of you. Don’t wait another moment operating in the dark! Step into the light of your own amazing power and potential!